Blockchain startup Bancor Protocol Foundation has added Bernard Lietaer, International currency design and implementation expert, to the team as its Chief Monetary Architect. 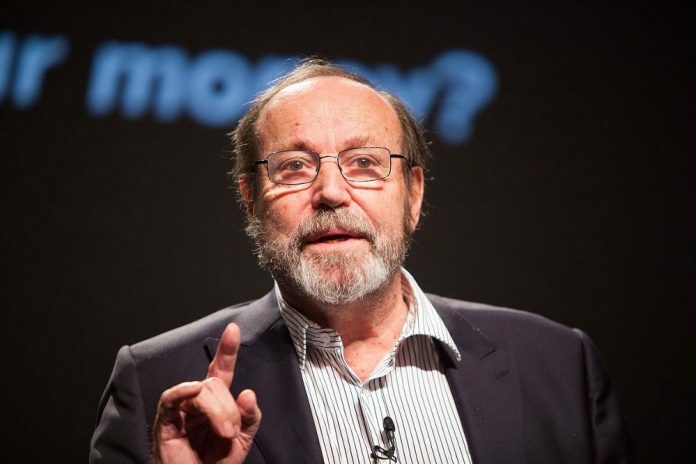 Dr. Lietaer has been active in the realm of monetary systems for nearly four decades, across four continents and is the author of widely acclaimed books on the topic including The Future of Money, Money and Sustainability, and New Money for a New World. Dr. Lietaer is known as the “Architect of the Euro” for designing the ECU, the mechanism which enabled the currencies of twelve countries to converge, while he was at the central bank of Belgium. It is less well-known that in his original design, the European currency was intended to be a common currency, not the single European currency. His proposal was not to replace national currencies, but rather to complement them with a supra-national trading currency for the European block, as he foresaw many of the challenges the Euro has faced in recent years. Much of Dr. Lietaer’s work focuses on the need for diversity in currencies in order to improve overall stability, maximize economic potential for a variety of communities globally, and to address specific needs such as environmental protection, poverty eradication or cultural preservation. Businessweek named him “the world’s top currency trader” in 1992. “I have been following the emergence of community currencies all over the world for decades. I needed to read the Bancor Protocol white paper three times in order to be convinced that it was a breakthrough. It is a solution for which I didn’t dare to hope” said Liataer. The Bancor Protocol establishes a new generation of cryptocurrencies called “Smart Tokens” which benefit from convertibility and built-in liquidity thanks to a novel price-discovery mechanism. They achieve this through the use of one or more “reserve” currency balances, managed directly through their smart contracts. This allows Smart Tokens to be bought and sold at an algorithmically balanced price at any time, without needing a counterparty and its risks, nor requiring traditional exchanges. This allows local, lightly traded and new currencies to cross the liquidity threshold instantly, leveling the playing field for a new long tail of user-generated currencies to emerge. The dynamic startup has also announced it is doing a token allocation event in less than two days starting at June 12, 14:00 GM. “We could not be more humbled or excited to welcome Mr. Lietaer to the BProtocol Foundation’s effort to bring sustainable complementary currencies to communities all over the world. We had been following Bernard’s work for years and were inspired by his research to pursue technological solutions that would allow for diverse currencies to thrive. Together, we can turn this big vision into a beautiful reality for all.” Said Guy Benartzi, Foundation Council member. Dr. Lietaer will focus on currency design, guidance on scaling and global implementation for user-generated community currencies, and on the research efforts to document and popularize best practices as communities start using Bancor’s Smart Tokens. The effort to create diverse and sustainable value networks has been identified by Mr. Lietaer as a promising method to contribute significantly to attaining the UN’s Sustainable Development Goals in this generation.